A pedestrian is struck and killed by a police car responding to an emergency 911 call. 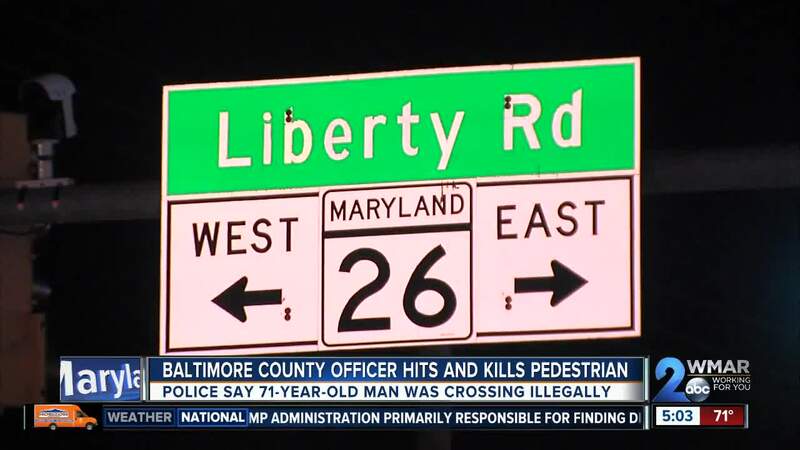 Baltimore County Police say the incident occurred Saturday before midnight. 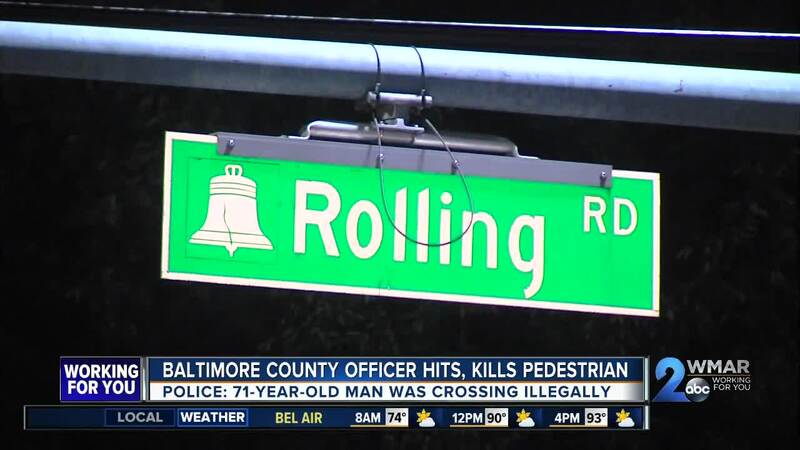 An officer from the Woodlawn precinct was reportedly responding to a home invasion and possible shooting in the 7400 block of Lesada Drive, when he struck and killed 71-year-old Robert Louis Mayo in the center turning lane on Liberty Road, about two blocks west of Rolling Road. An investigation revealed Mayo was struck while crossing in front of the police car as the officer entered the eastbound turn lane to bypass backed up traffic. Upon impact Mayo was thrown into a westbound traffic lane where he was struck a second time by a Ford SUV. According to police Mayo was pronounced dead on scene. He was not using a crosswalk. The officer was transported to a hospital with minor injuries. Body worn camera footage has reportedly been reviewed and corroborates the investigations findings. Footage is not expected to be released to the public due to its graphic nature. The officer has been placed on administrative leave pending an internal investigation. His identity will be released on a later date. As for the incident the officer was responding to, a man was lacerated after being pistol whipped. A woman called 911 after she and a man were leaving their apartment complex's laundry room and observing three black males, two armed with guns inside the buildings vestibule. The man was confronted by the masked suspects and struck in the head with the gun, causing it to fire. Upon hearing the gunshot, the woman retreated back to the laundry room and called police. The male victim and three suspects fled in different directions. Police say the victim was not shot and only sustained a laceration. Detectives are working to develop more information and determine a motive for the assault.